g. TERMINAL LEARNING OBJECTIVE. In a summer mountainous environment, construct a fixed rope installation, in accordance with the references. ^HWithout the aid of references, define in writing each type of fixed rope installation, in accordance with the references. 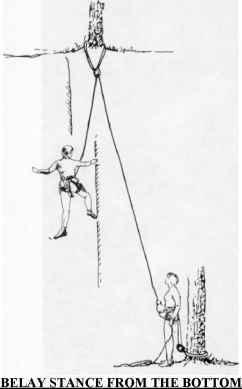 ^HWithout the aid of references, describe in writing the conditions for positioning the climbing rope in relationship to the climber along the route of a fixed rope installation, in accordance with the references. ^HWithout the aid of references, describe in writing the criteria for maintaining a fixed rope installation, in accordance with the references.